20 Youth Celebrated at the Laureus Youth Empowerment Through Sport Graduation. 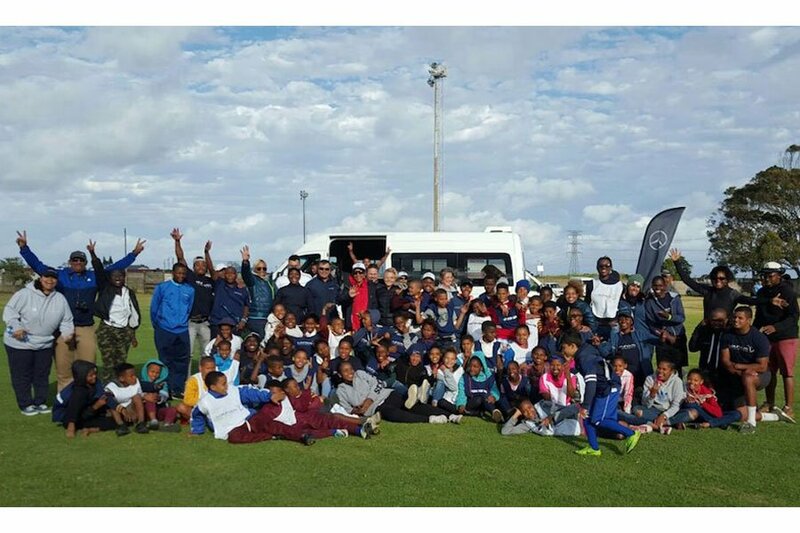 The 2017 Laureus Youth Empowerment Through Sport (YES) programme concluded with a special 2-day graduation celebration in East London on 9 and 10 November. Laureus Ambassadors Natalie du Toit and Zanele Mdodana along with Laureus South Africa Chairman Morné du Plessis and SA sprint sensation and Mercedes-Benz ambassador Akani Simbine attended the ceremony to join in the celebrations and personally congratulate the twenty graduates who have successfully completed this year’s programme. 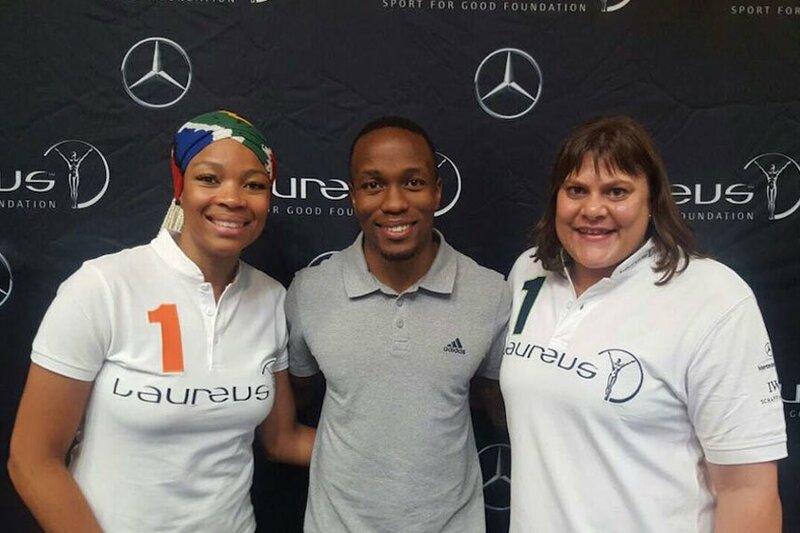 The Laureus YES programme is aimed at developing youth leaders from a range of sport for social change organisations across South Africa. Launched in 2012, the programme focuses on equipping youth with the technical, vocational, entrepreneurship and life skills needed to develop sustainable livelihoods. The programme targets school leavers, ages 18 to 25, with particular attention given to young people who are passionate about sport and the upliftment of local communities. The 2-day program kicked off on Thursday and saw YES leaders from various Laureus-funded projects leading a number of sport focused activities. Activities included: surf therapy lessons led by Waves for Change and Indigo Youth Movement YES leaders;Soccer activities led by YES leaders from the Diepsloot Mountain Bike Academy and Grassroots Soccer and rugby activities led by YES leaders from Egoli Squash, Nemato, Great Commission United and Peace Players International. The final day of the programme featured a visit to the Mercedes-Benz Plant, a tour of the Mercedes-Benz Learning Academy and finally the official YES Graduation Ceremony. “We are extremely proud of this group of young leaders and applaud them for the tremendous work that they have been doing over the last 2 years, using coaching and various life skills to spread the actions of social change through sport. They possess the kind of leadership qualities that utilized correctly can assist in facilitating positive change in their communities. We are certain that they will continue to elevate communities across the country” explains Laureus SA Chairman, Morné du Plessis. The YES programme is the official internal mentorship programme for the South African foundation. Twenty youths from various Laureus-funded projects participated in the programme which concluded with the graduation in East London. As part of the programme and ahead of the graduation, YES leaders completed two separate training workshops in March and October this year, were they provided with essential tools to help them ignite positive change in their lives and local communities. The Laureus Sport for Good Foundation South Africa funds, supports and promotes the use of sport as a tool for social change. The Foundation has a network of over 26 sport for social change organisations in over 100 communities using sport in innovative ways to tackle some of society’s most pressing challenges facing our youth. 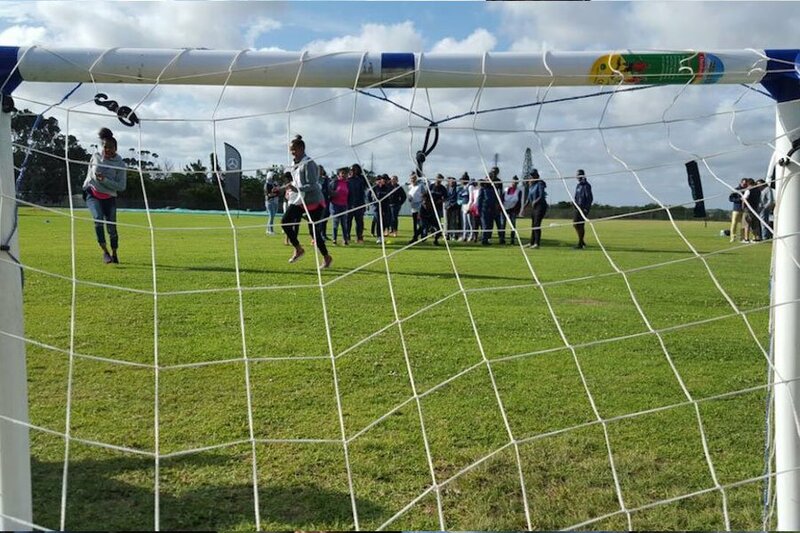 Since its inception, Laureus SA has raised over R80 million for projects which have helped to improve the lives of over 100k young people in South Africa. i’m exciter when young people who are passionate about sport and the upliftment of local communities.